Personal branding is trendy right now; but in reality, it’s just a modern take on what some people have been doing for thousands of years — making a conscious decision about how they want to be perceived and deliberately cultivating that image. The contemporary version of this (at least the one advocated by coaches and consultants) generally involves identifying your talents and skills, and figuring out which of those strengths is the best match for your goals. Personal branding is related to building a niche, in the sense that both are about making a conscious choice about how to present oneself. However, a niche is about what type of clients and cases you work with; whereas personal branding focuses more on your style, the qualities that makes you different from some other lawyer in the same practice area. For example, two different real estate lawyers could be equally successful and adored by their clients, one for her hard-hitting business advice and the other for always remembering personal details and sending birthday presents. Branding is really just about taking your gifts and highlighting them through your communications, demeanor and actions, such that everyone around you knows who you are and what you stand for. 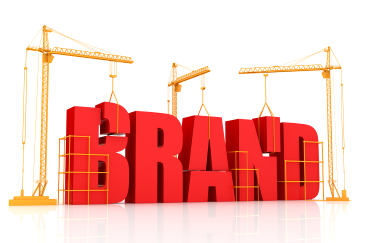 The following are seven ways that a personal brand can help your career. Branding generates opportunities. When you stand out from the crowd, you organically attract more clients, projects and other opportunities that are in alignment with your strengths and goals. Clients who are seeking a lawyer with your particular approach will naturally be drawn to you. It promotes stronger relationships. The best relationships are grounded in mutual benefit. If you have a particular competency, for example, you are known as a genius at cutting through bureaucratic red tape or for addressing interpersonal challenges, others may reach out to you for help. When you provide assistance, they will wish to return the favor. Helping one another creates a solid foundation for lasting, quality relationships. Branding helps to clarify where to spend your time and energy. Should you spend an extra few hours bringing that document from good to great? Or, should you stop what you are doing and respond immediately to emails? The answer will be different depending on your brand. If you are the “idea guy” the former may be worth your time; whereas if you are the “responsive one” the later probably makes more sense. It helps you to say “no” when necessary. When people are not clear on their own special contribution, they may think the only way to prove their value is by killing themselves through over work. You can’t be everything to everyone. If you try, you will make yourself ill, crazy or both. It augments your ability to influence others. Shocking though it is to many of us, other people often do not see us as we see ourselves. If you see yourself as caring, and your team sees you as manipulative, you will be mystified by their odd behavior and reactions, not to mention frustrated and confused when your initiatives go awry. Part of the branding process is designed to make sure that how you see yourself and how others see you is aligned, and this gives you the ability to understand and communicate with others at a whole new level. Branding is a tool for counteracting stereotypes and biases. For example, if you are woman who excels in technology or a man with a talent for empathy, your skills and aptitudes may not be recognized immediately. Making a concerted effort to get that message across helps your abilities get the recognition that they deserve. It's a way of taking responsibility over the things you CAN control. You can’t control the macroeconomic trends that impact your industry. You can’t control whether that partner with whom you did a lot of cross-selling decided to move to another firm. If you focus on your career as being a product of all those factors that you can’t control, you will be a victim of circumstance­­­ — a hapless person who just got lucky, or unlucky. In contrast, proactively choosing how present yourself and then doing that consistently, gives you power over your life and your career. You are making choices and creating your own luck, rather than being blown about by the winds of fate.